When Volkswagen was already developing the third generation Golf was decided to first to launch a more powerful version of the VW GTI Mk2. He had been experimenting with turbocharging in gasoline engines and even there were a number of tests Scirocco with a turbocharged 150 horsepower engine but, unlike Audi, could not get the desired results. When Volkswagen decided on a volumetric turbocharger, Roots instead of the guy who was the most common, it was decided by the compressor "G". Léon Creux patented in 1905, but required materials and production processes that did not exist then. The compressor operation key G is the sealing between a movable wall and a fixed, among which it is compressed air from the outside to the center (s centripetal compressor). It's hard to get, especially when the car has many kilometers and has taken many turns compressor (the engine 1.7). At Frankfurt Motor Show 1985, Volkswagen presented the Polo G 40 (40 mm maximum distance between the walls of the compressor), with a 1.3 liter engine displacement and 115 hp. In 1988 Volkswagen created the G60 engine (59.5 mm between walls), with 1.8 liter displacement and 160 hp, which he was installed in the Passat and the corrado in 1989 and in 1990 in the Golf GTI. 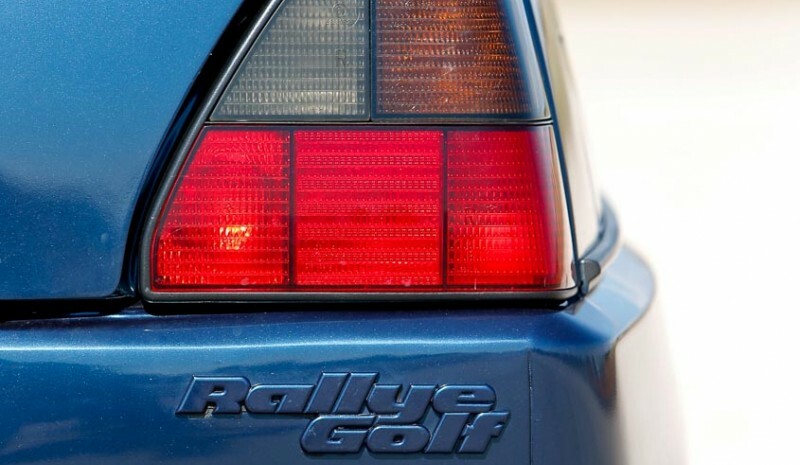 Before the release of GTI G60, the German mark showed a prototype car a product designed primarily competition, the Rallye Golf. He had almost everything that he could install a Mk2 Golf at that time, G60 engine and wheel drive Syncro, but not by 16 valve cylinder head production capacity. The displacement was reduced from 1,781 cm3 to normal 1,763 (Less diameter and the same stroke) to remain below the limit of 2.5 l by applying the factor 1.4 being supercharged. As Racing Car Group A, he Rallye was a failure because models with more powerful turbocharged engines with a total system more effective traction faced. Only he ran three rallies of the championship 1990 and his best result was a third in New Zealand, against weak competition. As car series, the evaluation relied heavily on expectations. As the Golf GTI such a good car, who expected something much better were disappointed. Stability and traction were relatively good, but the benefits are not. 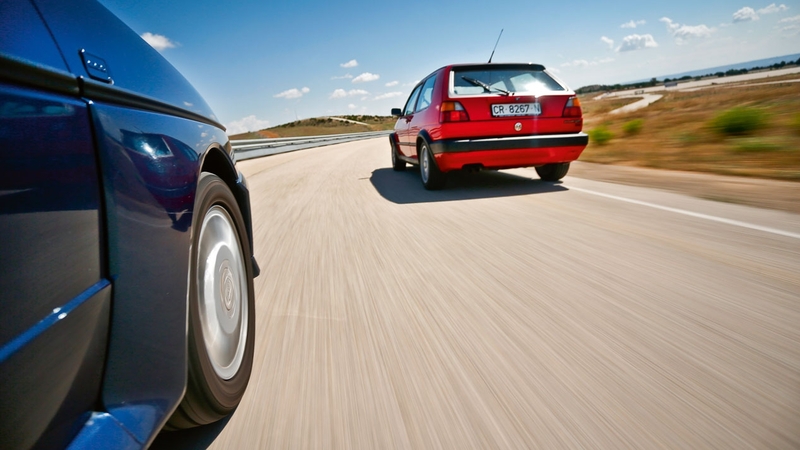 The G60 engine was not the thrust of the turboalimentados then and the weight was 275 kg higher than a normal GTI. The relationship between weight and power Rally Golf was 7.5 kg / CV; of a Delta Integrale, 6.2 kg / CV. Yes, the owner of a Integrale knew I was going to have to do something like constant maintenance, such as on airplanes. The few who bought a rally did not have that problem. 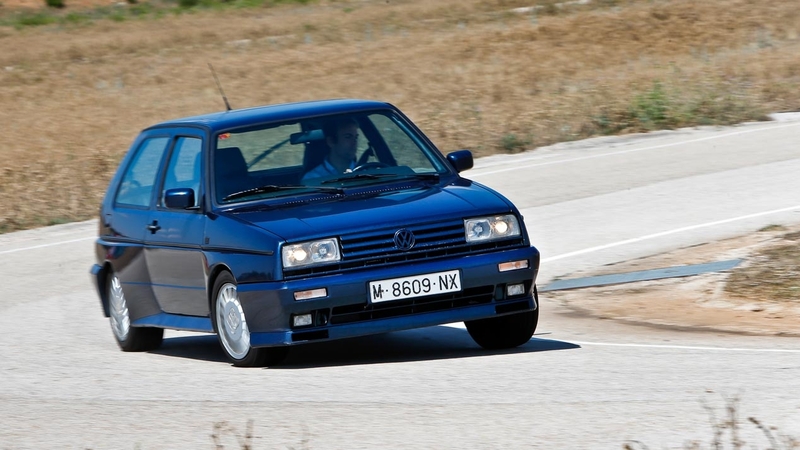 Since weight was the main brake Rallye, the GTI G60 launch of a front-wheel drive He made me think "Now yes'. And yes ... more or less. 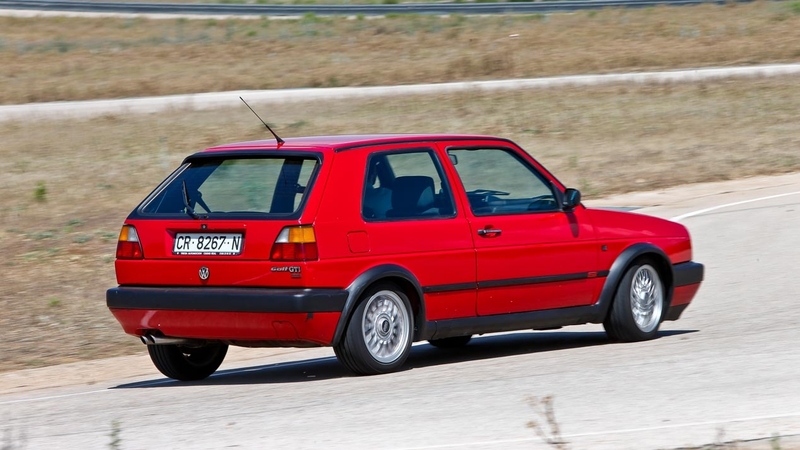 the G60 He had almost everything good of a GTI, mainly as a sports and versatility as a daily car. And the good compressor G relative to a turbo then is that he had no response delay and margin utilization was great. He was criticized GTI good motor skills was no longer enough to force engine, but in absolute terms it was not a slow car speed cornering nor those who are pulling the steering wheel when accelerating up to a lane change. Who were determined to crush the accelerator before the wheels were straight and hope the car solve the problem complained of interference traction in the direction, which is the equivalent of entering past a corner and complain that the car Does not turn. The EDS system, what braking the drive wheel slip more (Up to 40 km / h), it was more a help to start on slippery surfaces than the equivalent of a limited slip differential, which really did not need in a normally fast driving on slippery roads normally. However, the VW Golf GTI G60 did not become in his power scale what was hers normal GTI. The frame met reasonable expectations for a sport like this, thanks to the 15-inch wheels, brakes and ABS sufficient, power steering with good touch, less roll than a normal GTI, by the thicker stabilizer and a recessed front suspension 20 m and 10 mm behind, all on the good structure of the Golf. At an engine that did not have the force of turbos then joined a gearbox with some inappropriate relationships. Simplify manufacture, he had the same gear ratios and the same group as the sedan Passat G60. Instead of going shortie like other GTI, it did not reach the maximum speed in 5th. He also had a very large jump between second and third (a common defect of many German cars then regime fell 1.6 fold;.. If the second stretched up to 6,000 rpm, switching to the third was in 3750 Towards Final production GTI G60 (which was in late 1991), Volkswagen produced a short series of units with AWD Syncro, something like a rally without the distinctive body that version. 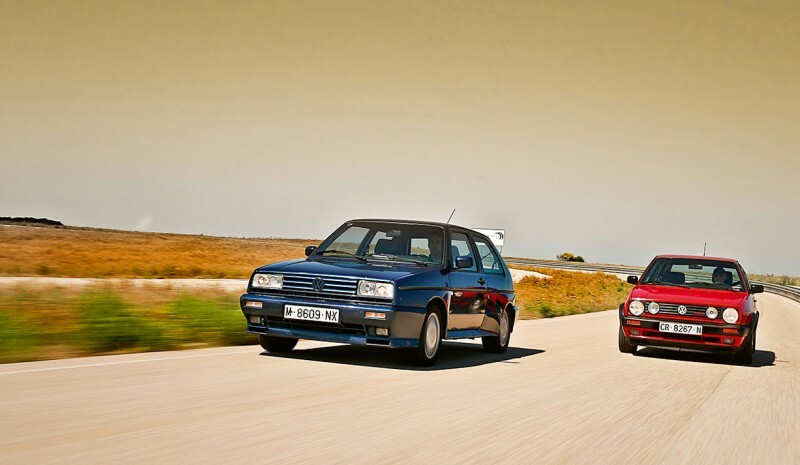 Everything we have counted to give an idea of ​​how were the Rallye and G 60 when they hit the market. Today there are two very desirable cars if they are in good condition. I do not even mind having one of the few no units in which, after the compressor G is injured it, have changed by one type Roots. Of course, after a few months with the Rallye, trade it for a Mazda 323 GT-R, losing money. Jämförelse: Renault Clio 1.5 dCi och 1.5 dCi Dacia Sandero är samma bil?